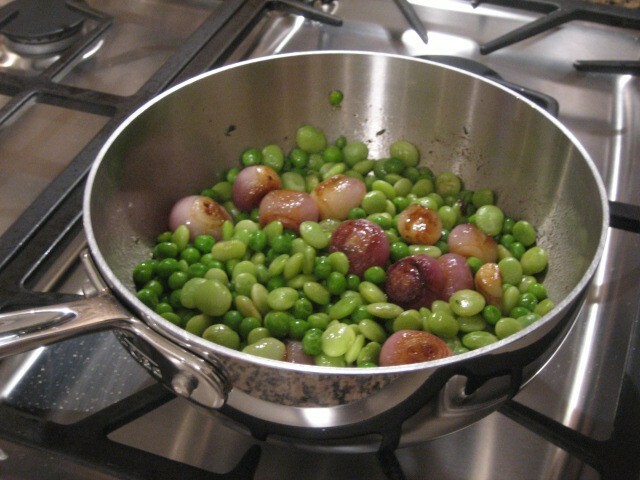 In a small sauté or saucepan heat on medium heat 1 Tbs of butter and lightly brown the peeled pearl onions until translucent and soft and caramelized. Add the thyme and cook 30 seconds. 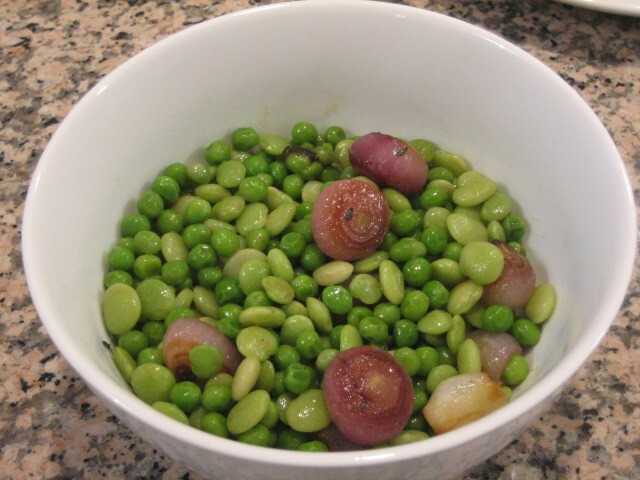 Add another tablespoon of butter and the lima beans and peas season with kosher salt and pepper and heat for another 2 minutes and serve hot. If you can find frozen pearl onions, you can use them as well, it’s easier!